My name is Samuel Cockle-Hearne (although you may know me by my Facebook name Samuel Brookes!) and I am the Vice President Welfare. I studied politics and international relations, and specialise in the study of nationalist movements. 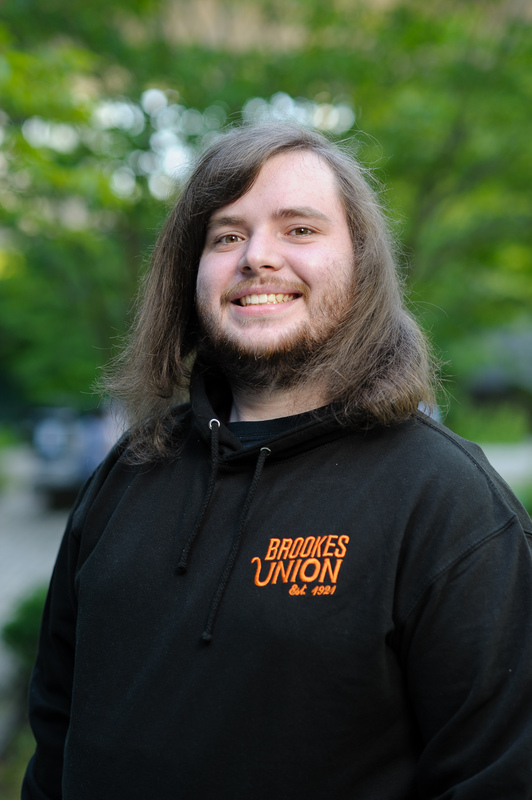 I have had a long standing passion for promoting welfare and wellbeing, having worked both as a volunteer on the Brookes Union Safety Bus, and as a councillor for one of Oxford’s many summer schools. Inspired both by the amazing work of the Brookes Union, Wellbeing services and the volunteers on the Safety Bus, I decided to get more involved in promoting student welfare. From my time working on the Safety Bus and as a student trustee, I saw first hand the struggles that students are facing, from endemic mental health issues to the prevalence of sexual violence, and this hardened my resolve that something had to change. Seeing what my predecessors (Rebecca Belward and Liam Corbally) were able to achieve in their time as sabbatical officers, I decided that perusing election was the best way to impact on how students experience welfare. My time at Oxford Brookes has been incredible, and I want to ensure welfare is front and centre of the agenda so all students can enjoy the fantastic opportunities that coming to university offers. I want to empower students, and knowledge is power. I am therefore seeking to equip students with the necessary information upon arriving at university so they not only know how to look after themselves, but so they know how to look after others and what services are available to them. To this end I will be reviewing how information is presented to students at the start of the year (especially regarding information on mental health and sexual safety), and implementing new structures (such as student volunteers providing assistance and information on arrivals day) to make sure students know all they need to stay safe and enjoy themselves at Oxford Brookes. As well as providing students with knowledge, I seek to offer them with opportunities to get involved in Brookes Union welfare projects. As well as continuing to recruit student volunteers for the Safety Bus, I will create a new volunteer programme for those interested in wider welfare projects. Additionally, I will be overseeing the creation of student committees for each halls of residence to provide both opportunities and an additionally point of contact for students seeking welfare advice. I recognise that mental health is one of the biggest concerns facing both students, Brookes Union and Oxford Brookes University. I will be campaigning throughout the year to both provide students with information on the services that can assist them, and to allow students to feel comfortable in coming forward about the issues they are facing, so no one suffers in silence. I will initiate campaigns specifically around identifying and reaching out to isolated students, training students in peer support and tackling the stigma around men speaking out about mental health.